Stratford upon Avon, a thriving market town on the banks of the beautiful River Avon is best known as the birthplace of William Shakespeare, but has so much more to offer its visitors. It’s true that the Bard introduces people to the town, but by the time they leave, many people have discovered the hidden treasures of Stratford upon Avon and will make plans to return again soon. Millions of tourists walk the streets of Stratford upon Avon every year. Some come for the Shakespeare Attractions and some for the Stratford upon Avon Shops. This web site contains things to do in Stratford upon Avon as well as helpful information on Stratford upon Avon Hotels, Bed and Breakfasts and Stratford upon Avon Restaurants. If you want to soak up the history and culture of the Shakespeare Attractions or simply entertain the children at the Butterfly Farm or Stratford upon Avon Leisure Centre, look no further; we have all you need to know right here. Use our Stratford upon Avon Map to see exactly where everything is in Stratford. The town centre is quite small and many places of interest are within close walking distance of each other. 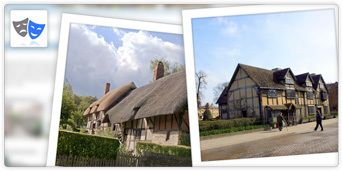 We hope you enjoy your visit to Stratford upon Avon, using our online guide you can easily plan your entire trip. Need somewhere to stay while you visit Stratford? There are plenty of hotels, backpacker's hostels and Bed and Breakfasts to be found in and around the town. 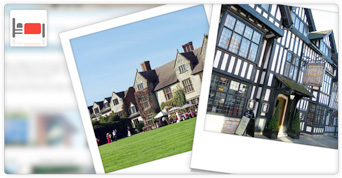 Find out where to stay with our guide to Stratford upon Avon Hotels. Stratford upon Avon boasts a great selection of cuisine to cater for all taste buds. 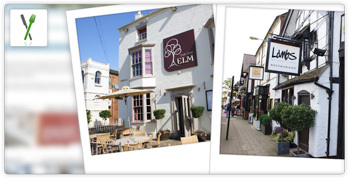 Stratford upon Avon Restaurants include Lambs restaurant, The One Elm and the Vintner restaurant. Stratford upon Avon has many beautiful attractions. You could head down to the River Avon to see a play at the Royal Shakespeare Theatre, visit Shakespeare's Birthplace or visit the Stratford Butterfly Farm. 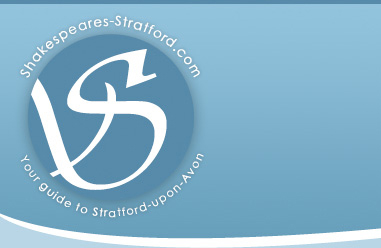 Find out the latest Stratford upon Avon news and events on our Stratford upon Avon Blog. The town of Stratford upon Avon has a long and varied history. According to archaeological finds, its earliest settlements were in the Bronze Age, and during the 7th century a monastery was built on or near the site of Holy Trinity Church. The town’s name is Saxon in origin, meaning the place where a road (Strat) crosses a River (Avon – the celtic name for river) by means of a ford. It is presumed by historians that this refers to a Roman road which crossed the river here, though there is no evidence to support this. Stratford became a town in the late 12th century, around the time that King Richard I granted a charter, in 1196, permitting a weekly market. This development followed the clearing of the Forest of Arden, which in turn lead to an increase in agriculture in the area. The town was affected by a series of adversities during the 16th and 17th centuries, including four serious fires that destroyed large numbers of the town’s timber framed buildings. There were also two outbreaks of the plague, the first claiming some 250 lives and the second killing more than 60 people. With a population of less than 2,000 this was a significant number of losses. Stratford’s canal was opened in 1816 and the railway arrived in 1859. These made Stratford, which was growing in popularity as the birthplace of Shakespeare, much more accessible for visitors. The 23rd April 1564 saw the birth of William Shakespeare in the town, the first son of glove-maker John Shakespeare and his wife, Mary Arden. Shakespeare went to London in 1587 to make his name as a playwright, poet and actor. He returned to Stratford many times during his career, and eventually moved back and lived at New Place. He died on his 52nd birthday in 1616 and was buried at Holy Trinity Church. He did, of course, become the world’s most famous playwright, and much of Stratford’s popularity today is due to its connections with the Bard.